Do not yell, scream, or attack the bird as you proceed with the following steps. These actions will provoke the bird and cause harm to both of you. 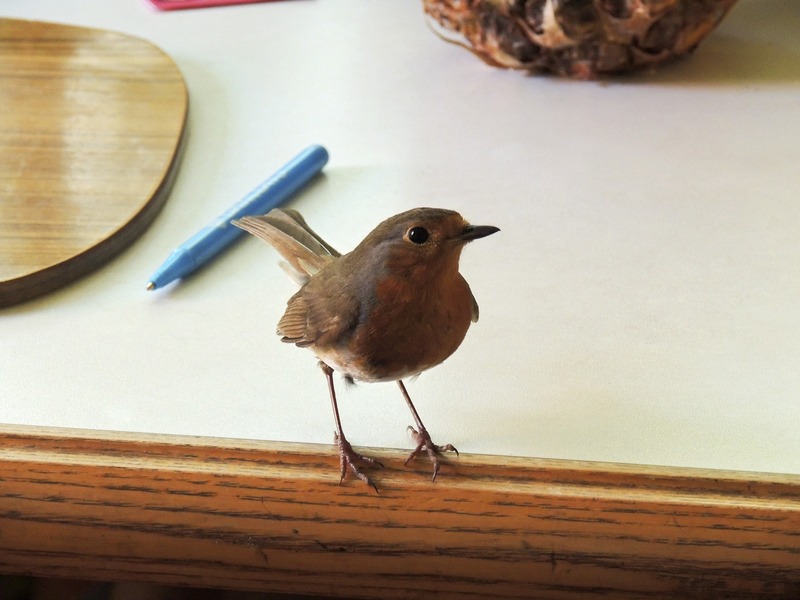 Once a bird has entered your home, it will probably be in a panicked state and flying around. The easiest way to handle the situation, even if it has a calm demeanor, is to contain it within one room. Close all doors to prevent it from reaching other parts of the house. By narrowing down its escape possibilities, the bird will be able to focus on finding an exit to the outside more easily. Relocate your dog, cat, rabbit, or other pet to another room. This will prevent any further anxiety to the bird, as well as potential skirmishes between the bird and your pet–particularly if it’s a cat. Calm yourself completely down because the bird can sense your panic, which will influence its own. Refrain from screaming, yelling, or attacking it; this will just make the situation worse and put you in possible danger. If you are outside of the room and someone else is handling the situation, it’s important to remain quiet as well to prevent the bird from attacking that person. The bird will be flying towards a light source, so turn off any lights in the room and close the curtains on all of the windows, leaving one open. Birds naturally avoid dark areas. Choose the biggest window or door that leads directly outside. With the entire room in shadow, the bird will most likely fly toward the exit since it is the only light source. It’s possible that the bird won’t immediately leave after you have followed all of the above steps. It is still trying to calm down, so leave the room or distance yourself from the bird while remaining still and quiet. If the bird remains in the room after more than an hour, then you will need to coax it out. One way is to hold a large sheet or towel open and slowly inch your way toward the bird. Always stay behind it to herd it outside. Under no circumstances should you touch the bird or throw a towel over it to pick it up because this is a safety hazard for both of you. If the steps provided here fail, then immediately call your trusted wildlife removal company, such as Raider Wildlife Control, to humanely and safely handle the bird’s evacuation. We pride ourselves in offering each customer a full property assessment, a detailed written quote, and professional service throughout the process. Call us today at 1-844-482-7243, so we can set your home up with animal prevention measures.